A government- backed US study has shown a link between mobile phones and cancer. Since mobile phones first became glued to our heads, scientists have been debating whether they affect our health. The findings have been inconclusive . . . until now. To try to pin down the answer to 'are mobile phones dangerous? ', the US government set in motion an extensive study that began more than 10 years ago. 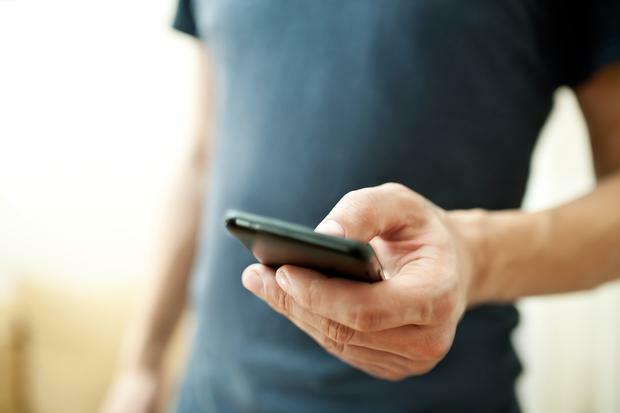 Its initial findings, released this week, show a link between mobile phones and cancer. "Where people were saying there's no risk, I think this ends that kind of statement," said Ron Melnick, who ran the National Toxicity Program (NTP) project before retiring in 2009. In 2011, the World Health Organisation (WHO) said mobile phone radiation was a possible carcinogen. But considering the fact that certain pickled vegetables and coffee are also considered possibly carcinogenic, no one was throwing their phone into the nearest bin. While the findings are certainly worrying and the headlines are causing concern around the world, the researchers are keen to emphasise it is still too soon to draw sweeping conclusions. "Much work remains to be done to understand the implications, if any, of these findings on the rapidly changing cellular technologies that are in use today," said John R Bucher, the associate director of the Department of Health and Human Services-run National Toxicity Program. The study was carried out in an underground lab with 21 specially designed radio frequency chambers to house mice and rats. Over a period of two years, more than 2,500 rats and mice were exposed to levels of mobile phone radiation that could be considered similar to what humans may experience by using a mobile phone at maximum power. The study exposed the rats to the frequencies every 10 minutes followed by a 10-minute break for 18 hours, resulting in nine hours a day of exposure. Their entire bodies were exposed because people are exposed to similar levels of radiation beyond their heads, especially when they carry their phones around in their pockets or, as some women do, store them in their bras. The researchers found that as the thousands of rats in the new study were exposed to greater intensities of radio frequency radiation, more of them developed rare forms of brain and heart cancer that could not be easily explained, thus showing a direct dose-response relationship. While the incidence of these rare tumours was still relatively low, the incidence grew with greater levels of exposure to the radiation. Some of the rats had tumours in the brain, others had tumours in the heart. In contrast, none of the control rats - those not exposed to the radiation - developed tumours. More tumours were found in male rats than in female rats. I've always been worried by the fact that my ear gets really hot when I talk on my phone. I'm now completely paranoid about the whole thing. And what of our children? They started talking on mobiles from a young age - what is their future going to be if the findings are correct and the link between mobile use and cancer is true? On the other hand, a recent survey of brain cancer rates in Australia reported no increase since the introduction of mobile phones there almost three decades ago, a result found in other countries too. "Given the lack of evidence for an increased incidence of brain tumours in the population in recent decades, I do not expect health agencies to react very strongly to these findings," said Kenneth Foster, a professor of bioengineering at the University of Pennsylvania. There have been many studies carried out on the dangers of mobile phone use over the past few decades. One study followed more than 420,000 mobile phone users over a 20-year period and found no evidence of a link between mobile phones and brain tumours. Siobhan Hutchinson, a consultant neurologist based in Dublin, said it was important not to panic. "There is no convincing evidence that mobile phone radiation is carcinogenic or causes brain cancer, but if you are concerned about it, then there is no harm reducing your use." So what can we do to minimise risk? The Irish Cancer Society recommends that people limit exposure to the potential harm of mobile phones by keeping calls short, using hands-free devices or texting. We should also leave our phones on the desk instead of on our bodies in a pocket, and use a wired headset whenever possible. Also, using your phone in the car cuts signal strength and forces the phone to use more power to connect, so don't make a lot of calls while driving. If nothing else, hopefully this study will make us think about our phone use and help us to cut down on the amount of time we spend using them, which will be beneficial to everyone in the family.